One of the girls rescued from the grip of Boko Haram has confessed to the military that all the Chibok girls have been radicalized. 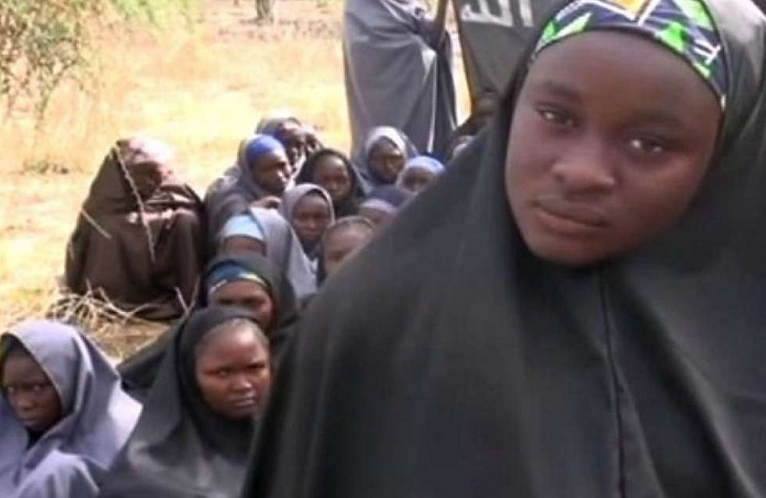 21-year-old Tabitha Adamu, a heavily pregnant girl forced to marry a Boko Haram commander after she was taken from her village in Bayan Dutse, Gwoza LGA of Borno said she mingled with the Chibok girls at various times in the sect’s camp. “They killed my father and brother. They took me along with my mother but at some point we were separated. Since then, I’ve not set my eyes on my mother. When he (Abu Kabir, my Boko Haram husband), wanted to marry me, he gave the women who were taking care of us N5,000 as my bride price. “Before the marriage, I was asked to convert to Islam. I did so because many who refused were killed and they gave me a name (Samira). I answered the name but I know my true name is my real name. When we were rescued I told the soldiers that my name is Tabitha. “They asked me if I am one of the wives of the Boko Haram and I told them my story. They felt for me and they treated me well. Is Mr President only has the power to bring back our girls?, this is the question we Nigerians need to be asking ourself. It will not be well with those Bokoharma guys in Jesus name amen.